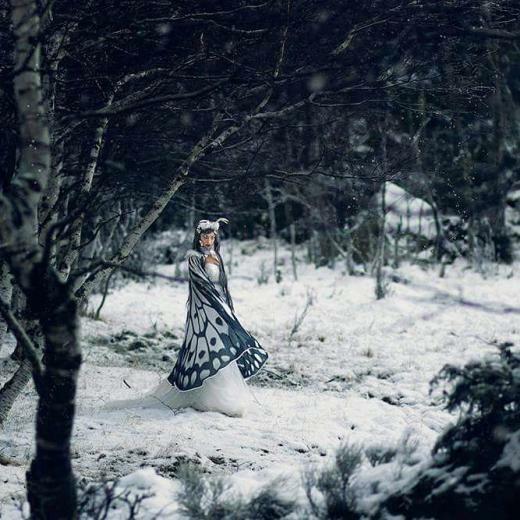 Forget about Santa, this year, Christmas presents are delivered by the Winter Fairy herself! 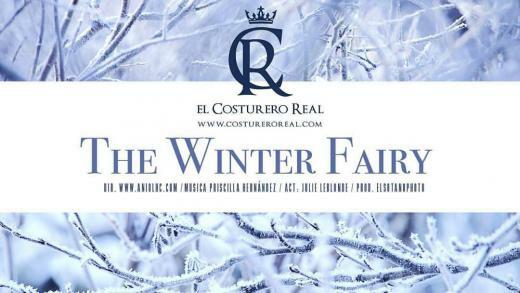 El Costurero Real is fashion company and trademark specialized in fantasy and alternative fashion created by my friend and talented seamstress and designer Alassie. Yes, of course we have previously featured El Costurero Real (The Royal Tailor) here in this blog, as we have collaborated a few times. But I am happy to see how this last year, the amazing wings and capes made of chiffon or voile have become viral and well known world wide due to its amazing quality and delicate ethereal designs, though the brand itself offers an catalogue that includes items from affordable accessories to couture bridal gowns. Said this and having seen the items myself as a long time friend of the creator of this company, I have to say I'm proud to have collaborated (with my music) to this little FANTASY short movie where you can see the fairy wings in all splendour, that was just launched to celebrate the brand new re-design and that you can watch fully in her site (check credits at the end of article, please to acknowledge the effort of the whole team :). From El Costurero Real with Mª Angeles Guisado Ruiz, Lady Entropy and Felix Goggles. Direction and video Aniol HC - Photo/video.